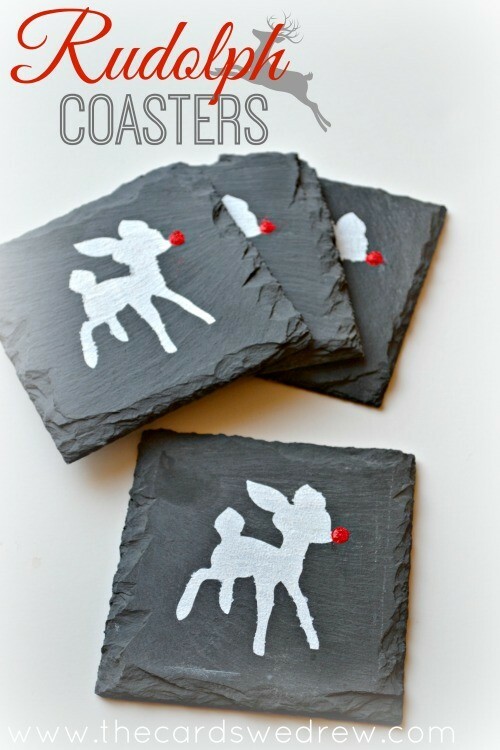 Today I’m sharing with you these easy Rudolph Coasters using slate coasters I scored from Michaels. 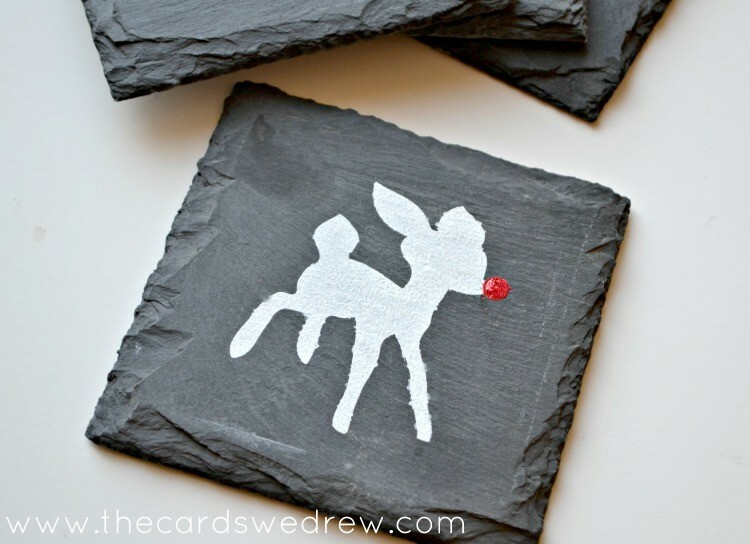 These little beauties were easy to make and make great gift ideas! 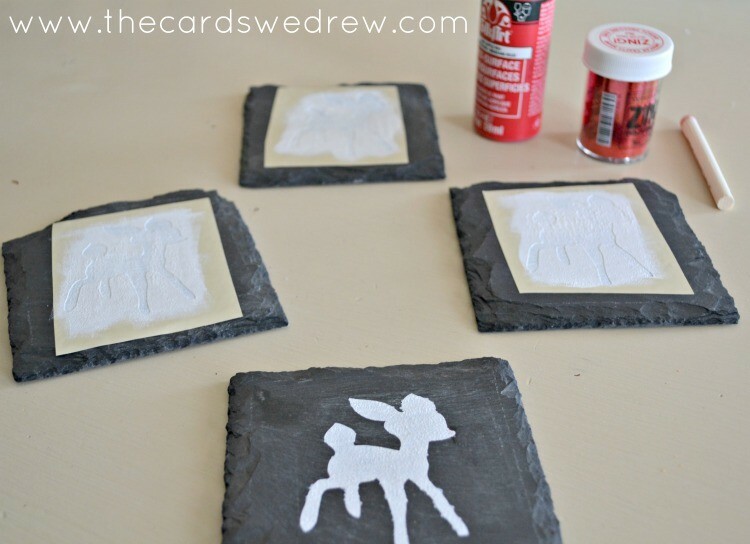 Start by stenciling your coasters with white paint using the vinyl cutouts from Silhouette OR a regular stencil. 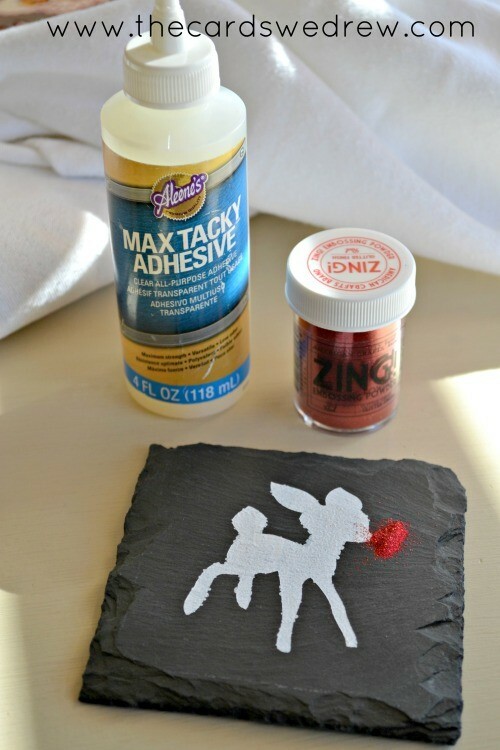 Let them dry and then use a little dabber to make a red nose using your red paint, then add glue and a little glitter to make the pretty red nose. 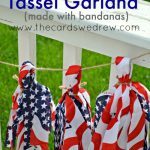 They are so fun and easy to make and would make great stocking stuffers or other small gift ideas! 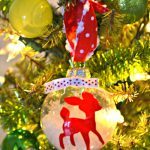 If you like this post, then you’ll love my Girly Glittery Reindeer below! These are so cute! Saving for next Christmas. 🙂 I’m wondering if I need to seal them at all? Would you suggest anything? 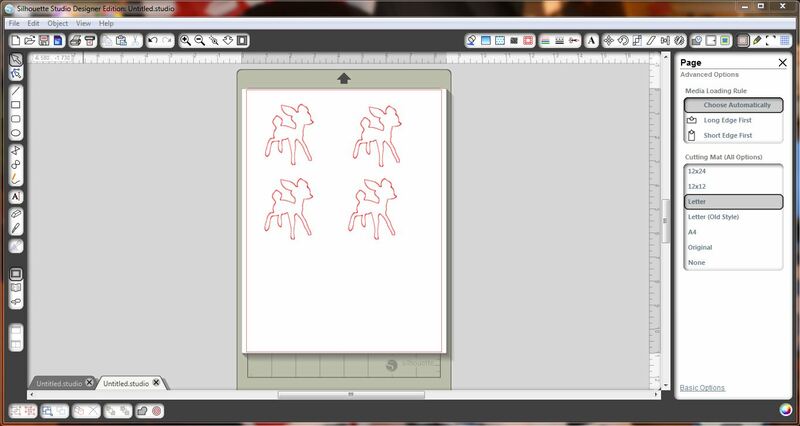 Thanks for sharing such a cute project. These are so cute. 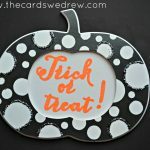 Does the paint wipe off with use of coasters? These are adorable. We shared them with our readers on Pinterest! LOVE THESE! They’re super cute! 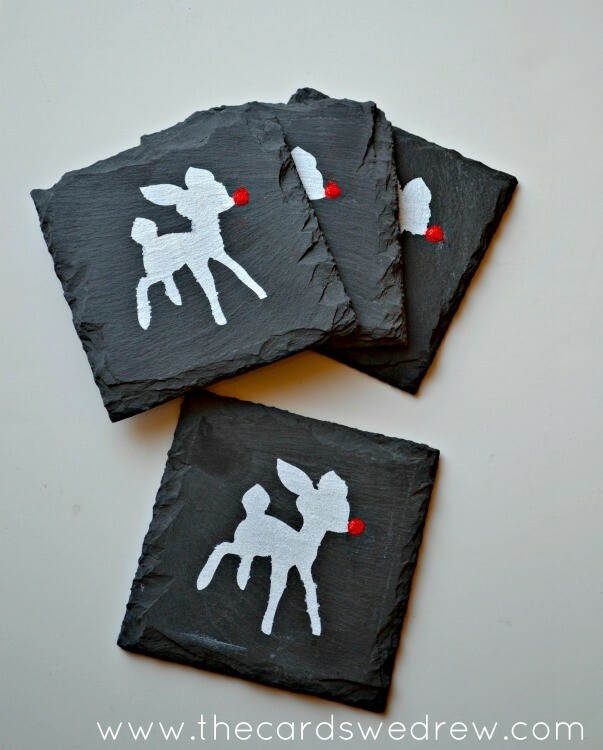 I’m gonna make these as gifts, and maybe do some with other motives as well! Thank you for a great tip and tutorial! love these! 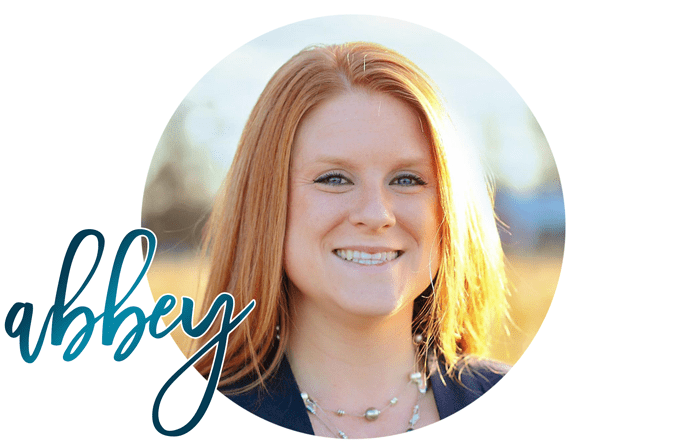 And yes – please share what you do to seal them? Can you suggest some type of matte-finish sealant? Hi Josie, I didn’t seal mine…so I’m not much help. 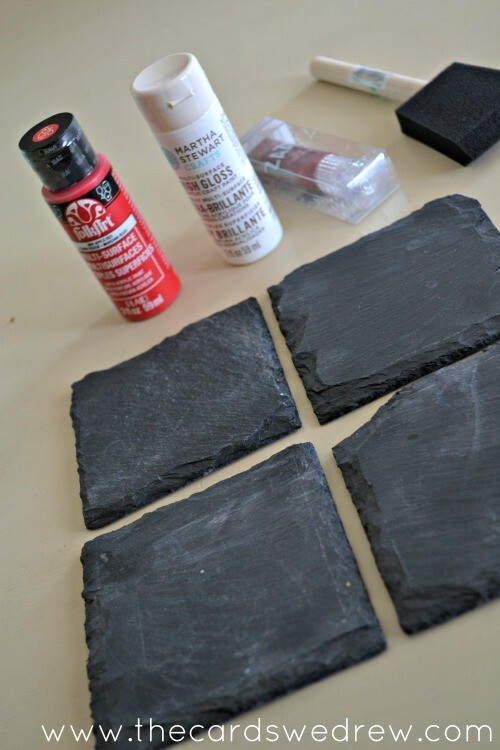 Maybe a layer of waterproof mod podge? I’m not really sure. Sorry. 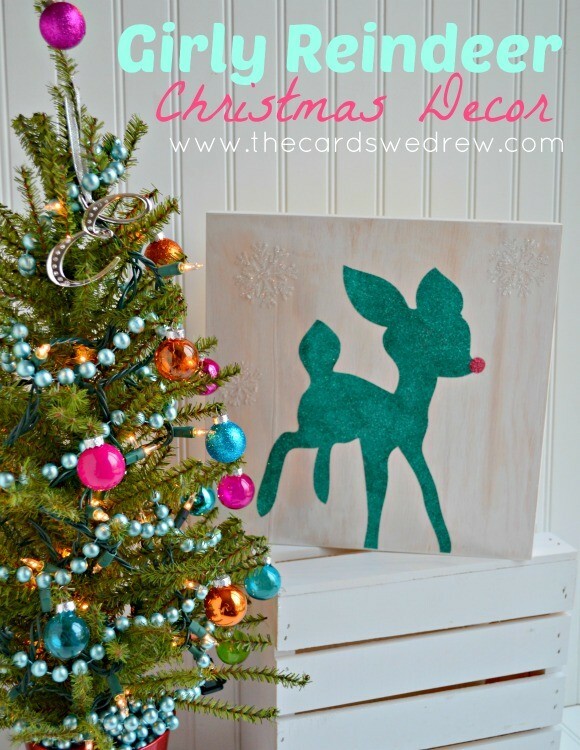 I’m getting a silhouette as an early Christmas present and would love to make these. 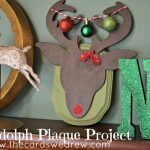 Is there a template for the reindeer? Que tipo de pintura utilizas?